To all those involved in the UK charity Veterans In Action, I salute you for your efforts to raise the issues that veterans suffer today. It is not right that soldiers are trained to fight in war and then completely forgotten and abandoned when they leave the armed services. 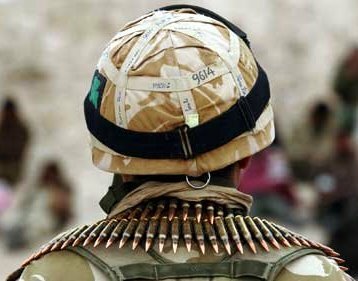 Government and MOD continue to flatly deny that there is a real problem with veterans in society – it is shameful and a discredit to the dignity and honour of those men and women who fought so bravely for us at the risk of their own lives and limbs. My name is XXXX XXXXXXX and I am raising this TOAST in memory of those who have lost their lives in the service of the country and to those who still fight the daily battle due to their service. Veterans In Action, The Old Grain Store, Redenham Park,, Andover, Hampshire SP11 9AQ. Please visit this link at Veterans In Action and make a toast this Christmas for our Armed Forces personnel. Or visit the VIA website to learn more about the work we do to help our vets.